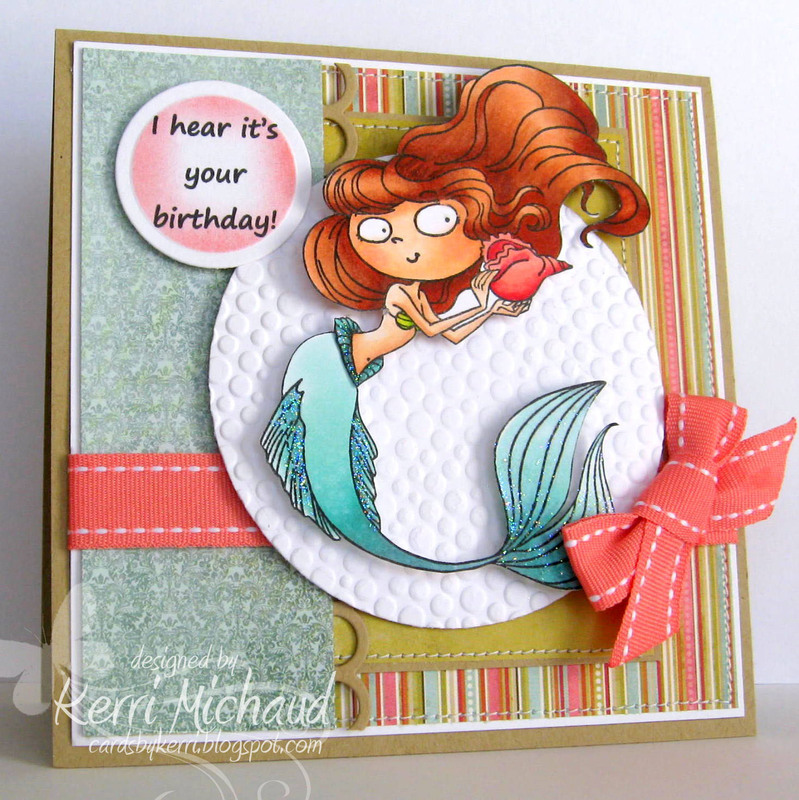 I used this GORGEOUS mermaid named Nerissa and dry embossed the circle frame with the CB Tiny Bubbles embossing folder. The dp is My Mind's Eye Six by Six Vanity Fair and I computer generated the sentiment. Definitely worth playing for, right?! 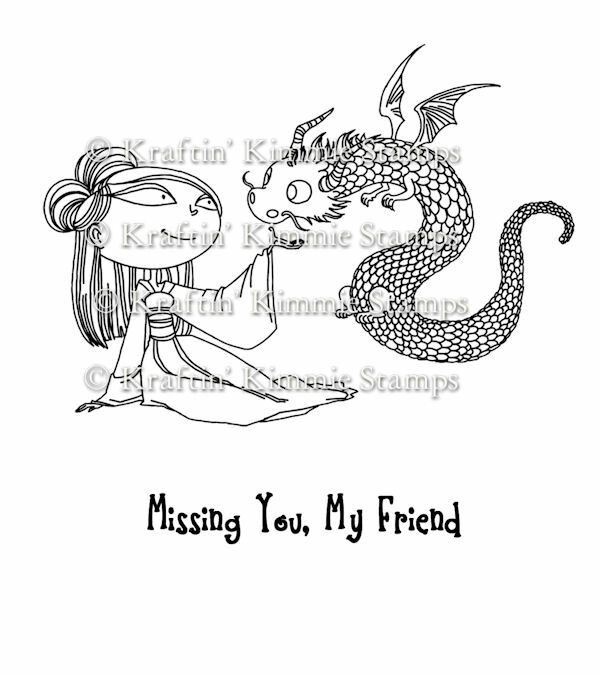 Just link your Embossed creations HERE on the Kraftin' Kimmie Blog! Also, don't forget about the Frugal Friday Specials at the Kraftin' Kimmie Store! There are 6 stamps on special 40-50% off Friday through Sunday each week (except for release weeks). This week's specials are Mr. Punkinhead, Rudy the Reindeer, Billy blyth, Speedy the Turtle, Roxy and You Are A Treat!!! This is lovely Kerri! I can never get her hair to look right but you nailed it, great card! Love this Kerri! The bubbles behind her are perfect:) Congrats on your guest spot:):) I had a good feeling about you with that amazing card you made for the contest!! hugs! me love your coloring, Kerri!! so beautiful and such a delightful card. LOVE it! What a great sentiment for that image!! Just fun! Lovely card Kerri, the image is so cute, wonderful! I love your card Kerri! So pretty! Gorgeous! Wow, all your stuff lately has been extra gorgeous with fabulous colors! Congrats on your guest spot!!! SO well deserved!! GORGEOUS card and I LOVE your coloring! !